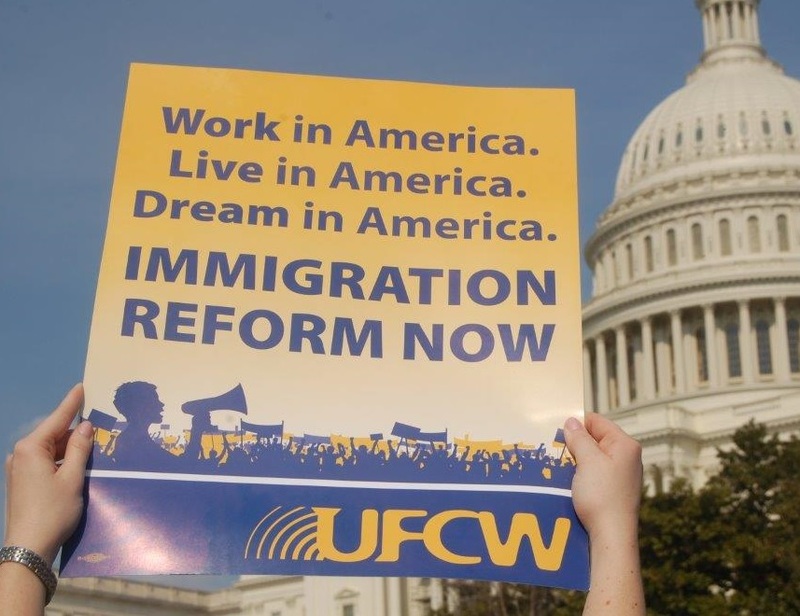 On Feb. 16, UFCW International President Marc Perrone issued a statement in response to the thousands of employees and employers across the country who stood together during “A Day Without Immigrants” to call attention to the vital role immigrants play in every community. “Immigrants make incredible contributions to our lives, communities, and country each day. Today, we are asking Americans to honor that contribution and pay attention to what is at stake. OMAHA, NE—Hundreds of UFCW members and staff from across the United States came together over the last two days in Omaha, Nebraska, at a groundbreaking training session with meatpacking and food processing workers in preparation for President Obama’s executive action on immigration, known as Deferred Action for Parental Accountability (DAPA). 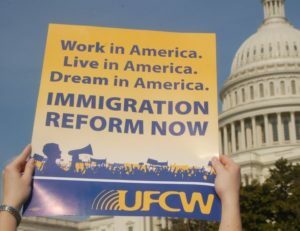 UFCW International President Marc Perrone called the UFCW’s work on immigration “the most important thing we will do over the next decade.” “Our union movement will be stronger if we truly empower our immigrant members with programs like this,” he said. Participants took part in four standing room only modules focused on ensuring UFCW members are first in line when the application process for DAPA officially opens. The first, which includes this week’s workshops, is outreach and education. UFCW members and staff will leave Omaha with a better understanding of DAPA and take that knowledge back to their home areas. The second phase, which will take place at the local union level in the coming weeks and months, is assisting members in determining eligibility and the gathering and review of key documents. The final phase is helping eligible members prepare and submit their application. Participants received detailed immigration guides to bring back to their locals. 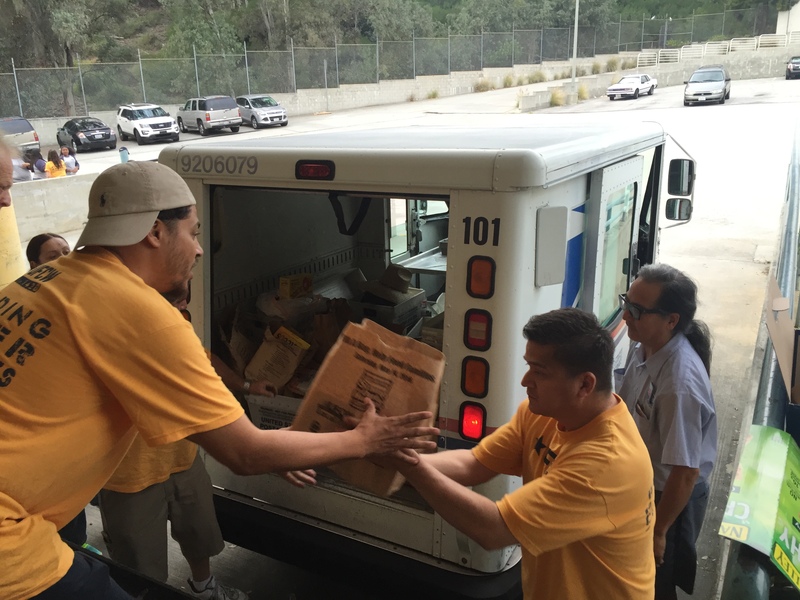 This coincided with the launch of the UFCW’s DAPA online toolkit—http://immigration.ufcw.org. Washington, DC—Today, on the cusp of one of America’s most celebrated holidays, Rep. Luis Gutierrez (D-IL) alongside immigrant farm, food and commercial workers from across the country gathered in front of the White House to remind Americans of the people behind the Thanksgiving meal, and express their support for President Obama taking the most inclusive executive action possible. The event shined a special spotlight on members of United Farm Workers and United Food and Commercial Workers who presented an array of Thanksgiving foods harvested and processed by immigrant workers, including a turkey, potatoes, pumpkin, and other foods commonly found on America’s Thanksgiving tables. In addition to the Thanksgiving table, farm workers delivered letters from across the country, explaining why administrative relief is so important to their families and communities. Many of the letters included invitations to the President to share a Thanksgiving meal with farm workers in their homes. (View the original letters in Spanish and their English translations). One of the letters written by Jaime Sanchez, a fourth year college student and son of farm workers, appeared as an op-ed in his student paper at the University of Chicago–the President’s former place of work. Their sentiments were bolstered by a chorus of farm and food workers from across the country. Additional information on today’s event, including the farm worker letters, bios, social media tools and archived footage is available here. Did you know that in 2008, six million Americans didn’t vote because they missed a registration deadline or didn’t know how to register? We can’t let that happen again – the 2014 election is just too important to working families. This election will determine whether the Senate and countless state and local governments fight to raise the minimum wage and expand workers’ rights or to bust unions, slash budgets, and cut taxes on the rich. We need to make sure that every UFCW household has its voice heard this year. Can we count on you? Then register today. Today is National Voter Registration Day, and our allies at Rock the Vote have created a website with all the information you need to make sure you’re registered. Forms, key dates, and other voting information are all included. Make your voice heard. Get registered today.